The abstract artists of the New York School succeeded in reducing the complex visual world around us to its essence of form, line, color, and light. This approach contrasts sharply with the history of Western art from Giotto and the Florentine Renaissance to Monet and the French Impressionists. Post-Renaissance artists attempted to create an illusion of the three-dimensional world on a two-dimensional canvas, but with the advent of photography in the middle of the nineteenth century, artists felt the need to create a new form—an abstract, nonfigurative art—that would incorporate some of the new ideas emerging from science. Artists also began to see analogies between their abstract work and music, which has no content, uses abstract elements of sound and division of time, and yet moves us enormously. One reason may be that some abstract works, with their reduction of figuration, color, and light, are uncluttered. Yet even when an abstract work is cluttered, like an action painting by Jackson Pollock, it generally does not rely on an external framework of knowledge. Each work is highly ambiguous, as great poetry is, and each focuses our attention on the work itself, without reference to people or objects in the external environment. As a result, we project our own impressions, memories, aspirations, and feelings onto the canvas. It is like a perfect psychoanalytical transference, where the patient imposes upon the therapist a replay of experiences with parents and other important individuals, or like the repetition of a word or a tone in Buddhist meditation. As is clear from the work of Piet Mondrian and the color-field painters, top-down information contributes greatly to the uplifting sense of spirituality that abstract art can induce. That is because top-down processing involves brain systems that are concerned with memory, emotion, and empathy as well as visual perception. The suggestion that abstract art allows us to project our own imagination onto the canvas without the constraint of what Rothko called “the familiar identity of things” raises a larger question: How does our response to abstract art differ from our response to figurative art? What does abstract art offer to the beholder? Bottom-up and top-down processing have not contributed to the beholder’s share in equal measure throughout the history of Western art. We can see this by comparing a Renaissance painting with an abstract painting. The Renaissance painting conforms to our brain’s rules regarding the normal extraction of information about depth from the pattern of light on the retina. It uses the elements of perspective, foreshortening, modeling, and chiaroscuro to recreate the three-dimensional natural world—the same tools that evolved to enable our brain to infer the three-dimensional source of the flat, two-dimensional images on our retinas (a skill that is critical to our survival). In fact, one can well argue that classical painters’ experiments in perspective, illumination, and form—from Giotto and other early Western figurative painters to the Impressionists, the Fauves, and the Expressionists—recapitulate intuitively the computational processes that give rise to bottom-up processing. Even though da Vinci, Michelangelo, and other mannerist artists of the sixteenth century rebelled against this trend, the general thrust of Western art before the early twentieth century was to recreate the image that a three-dimensional world casts on a flat surface. In abstract painting, elements are included not as visual reproductions of objects, but as references or clues to how we conceptualize objects. In describing the world they see, abstract artists not only dismantle many of the building blocks of bottom-up visual processing by eliminating perspective and holistic depiction, they also nullify some of the premises on which bottom-up processing is based. We scan an abstract painting for links between line segments, for recognizable contours and objects, but in the most fragmented works, such as those by Mark Rothko, Dan Flavin, and James Turrell, our efforts are thwarted. As Albright has pointed out (personal communication), we “search” desperately for associations because our survival is dependent upon recognition. [this is the creating of CONNECTIONS, the fundamental way information moves through us, from cells to societies] In the absence of strong figurative clues, we create new associations. The philosopher David Hume makes a similar point: “The creative power of the mind amounts to no more than the faculty of compounding , transposing , augmenting , or diminishing the materials afforded us by the senses and experience” (Hume 1910). Figurative paintings—landscapes, portraits, and still lifes—evoke activity in the regions of the brain that respond to category-specific images. Imaging studies of brain function have now shown that abstract art does not activate category-specific regions; rather, it activates the regions that respond to all forms of art (Kawabata and Zeki, 2004). Thus, we view abstract art by exclusion; we seem to realize unconsciously that what we are looking at does not belong to any specific category (Aviv 2014). In a sense, one of the perceptual achievements of abstract art is to expose us to less familiar or even totally unfamiliar situations. In a broader sense, the beholder’s response can be thought of as consisting of three main perceptual processes: the brain’s analysis of the pictorial content and style of the image; the top-down cognitive associations recruited by the image; and our top-down emotional responses to the image (see Bhattacharya and Petsche, 2002). The very abstraction of an image gives us a certain detachment from reality, and this encourages top-down free associations, which we find rewarding. Eye-tracking experiments reveal that when we view abstract art, our brain tends to scan the whole surface of the painting rather than focusing on recognizable, salient features (Taylor et al., 2011). 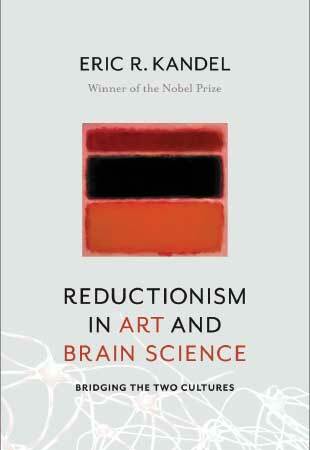 From Reductionism in Art and Brain Science: Bridging the Two Cultures. By Eric Kandel, published by Columbia University Press. Copyright by Eric Kandel, 2016.